Captain Hurlston also said they were not the first people to propose thislocation of a port in Prospect Point. “Captain Theo Bodden proposed a dock in the same area off Prospect Point years ago. I was against the idea in those days, but now I understand his idea to use the existing reef for a foundation for a pier. It’s a great spot close to town and to the airport,” Captain Hurlston said of the idea. 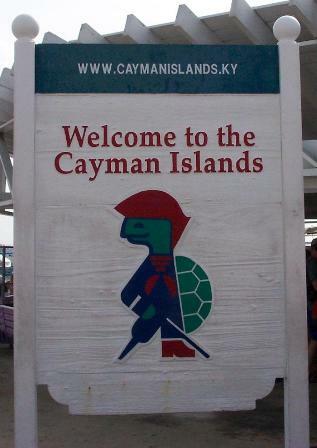 (CNS): The news of a proposed temporary lifting of Cayman’s seven year work permit term limit, commonly known as the rollover policy, has been welcomed by tourism and real estate sectors which have both persistently pointed the finger at the policy as one of the critical problems facing their industries. Tourism would have been particularly hard hit over the next twelve months without the reprieve as hundreds of employees were facing rollover. Very few work-permit holders at the lower end of the pay scale have been given key employee causing serious challenges for the tourism sector. The Cayman Islands Tourism Association (CITA) said the news of the rollover reprieve came as a relief for many local businesses. “With the numerous challenges that both industries have faced during the economic downturn it is a relief for businesses to have the pressure of rollover removed, even if only on a temporary basis. If this had not been addressed there was tremendous concern over the economic loss that our country would continue to face,” the industry body stated in a release on Tuesday. Savage-Christian would like to see business owners have a much greater say in who is allocated a key status within their organisations because they are best placed to decide which members of their staff truly went above and beyond the call of duty. 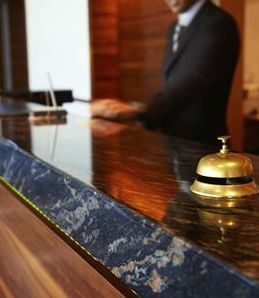 CITA would like to see such individuals, perhaps servers, cooks, concierge or valet car workers who do much more than what their job description entails and go ‘above and beyond’, given the opportunity to stay on island and continue to contribute positively not only to their employer, but to the economy, the community and to the guest experience of visitors. CIREBA president Jeremy Hurst agrees that the system needs to be changed. “At CIREBA we are not proposing that all immigration controls are removed, far from it. We believe that the Islands should be selective to attract good people. It worked well before for the Islands and it should work again,” he said. Hurst believes that the rollover policy prevented people from putting down roots as they had no real incentive to stay and blend in with Caymanian society, something that made Cayman strong and unique in the past. He also worries, as an individual heavily involved with service clubs, that some individuals are merely joining such organisations to simply tick the right boxes on their permanent residency applications, lacking a true incentive to help the community. “The rollover policy has detrimentally affected the very people who we aretrying to retain, i.e. middle management, who could and would invest in Cayman by buying propertyand giving to the community if they had the opportunity but are put off from doing so because they had no security of tenure,” he stated. The drop in Cayman’s population has led to all time high vacancy levels in the apartment rental market, which, said Hurst, has resulted in rents falling drastically. Both of these factors have had a negative effect on the economy as a whole. “This suspension should hopefully help reverse that trend and build investor confidence,” he added. In agreement with Savage-Christian, Hurst also believes that the key employee aspect of current immigration policy has been misapplied and that it should not be relegated to a benefit for just skilled professionals mainly in the financial services industry. CIREBA is calling for the term limit policy in its entirety to be permanently scrapped, or at least see the period of time an individual must break their residency in order to be granted another work permit reduced from a year down to three months. 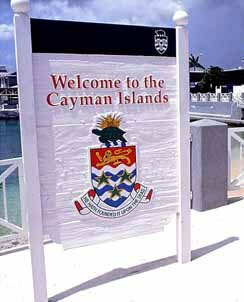 Individuals who have to leave for a year are unlikely to come back to Cayman because of the cost of uprooting their families. “Doing so would give an immediate and much needed boost to the economy,” the organisation as stated. Both CITA and CIREBA have submitted a request to the Premier to have representation on the review committee in order to provide insight into the particular needs of their industries. Just over a week ago the premier made the surprise announcement that the controversial policy would soon be suspended once he had discussed the issue with Cabinet and crafted the necessary legislative changes to bring to the Legislative Assembly. Bush said that a commission will be formed to examine the impact that rollover has had on the economy and analyze the pros and cons. It will be expected to come up with a report and recommendaitons for a new policy to help balance the conflicting issues facing the Cayman Islands community when it comes to immigration. The challenge government faces is how to offer security of tenure to employees who are needed in order to instil confidence in the business community and economic drivers, while at the same time limiting the numbers of expatriates that can become Caymanians to prevent the local population from losing control of the political landscape. (CNS): The country’s premier has announced his intention to establish a local hospitality and tourism school early next year that will encourage more Caymanians into the sector and eventually be open to international students. Speaking in the Legislative Assembly on Wednesday McKeeva Bush said the country needed to take a long-term view of tourism and train more local people for jobs in the industry at all levels. He said feedback suggests visitors are searching for authentic, local experiences for which they are willing to pay if Cayman can deliver. Bush said his tourism ministry would be joining forces with the University College of the Cayman Islands, (UCCI) to provide training at an international certification level for employees in the tourism sector and for persons interested in new careers in the industry. The school, he added would provide a well trained local labour force, with an internationally recognized hospitality certification, offer a range of opportunities and careers for young Caymanians, enable local people to directly participate in the economic benefits from tourism, and enhance the distinctly local cultural flavor of the sector. “The mission is to develop a hospitality institution to facilitate the certification, career guidance and employment opportunities for a world-class Caymanian workforce,” the premier stated, adding it would be a two-phased project. In the first phase the school will offer City and Guilds Certification and Associate degree programmes. “We intend to establish relationships with institutions such as Cornell University, Johnson and Wales, and affiliated universities,” Bush explained. The core areas of study will be Food & Beverage; Food Preparation; Spa Services; Front Office Operations; Rooms (House-keeping) and Maintenance. In the second phase further certification, and degree programmes will be established which will include City and Guilds for Skills Certification; and the Bachelor’s degree programmes of institutions such as Cornell University, Johnson and Wales-affiliated universities, and the Culinary Institute of America. He said additional core areas of study in this phase will include Spa Director, House-keeping Supervisor, Rooms Division Manager and Watersports/Dive Instructor. He said that a number of stake holders already support the Tourism Apprenticeship Training programme and government would be counting on them for even greater involvement and support, including job placement and career paths for participants. “We will ensure the highest standards of accreditation, including international recognition, so that our students not only receive the best training, but can compete at the highest levels with persons trained anywhere else in the world,” he promised employers. UCCI will be the academic institution that the tourism and education ministries would be partnering with for the use of campus facilities and lecturers to get the school off the ground.He said government would also be partnering with hotels willing and able to offer appropriate learning environments. An advisory council of 10-12 members drawn from relevant areas will be appointed to assist with strategic development and fulfillment of the mission of the school which he said would also require support from the immigration department. Bush said that such a school waslong overdue and had come to get it done so that young Caymanians will have further opportunities to become qualified professionals within the sector. “In the long run, our tourism product will benefit as the School will ensure that more of our young people are deployed to become the faces and the local, culturally rooted voices that our visitors want. It will be in their hands to plan for provision of the “authentic” experience visitor’s desire,” the premier said, as he asked for the support of the parliament. (CNS): Although government was celebrating improvements in stay over tourism this week, the cruise passenger statistics released by the DoT paint a very different picture. Only 77,735 passengers docked at the George Town harbour in July, which is the lowest number of people calling on Grand Cayman since Ivan struck in September 2004 when the island was closed to tourists. It is also the worst July since the year 2000, when only 61,328 passengers arrived. 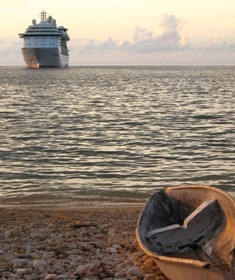 The fall of almost 33% in cruise numbers on this time last year is a direct result of the cruise liners diverting the new larger ships which are plying the Caribbean to destinations with berthing facilities. 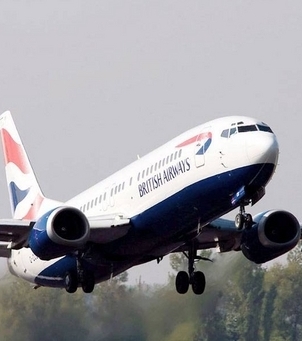 Air arrivals, however, continue to grow with figures improving by some 7.5% this month on July 2010 with 31,407 arrivals, the highest since July 2004. "From February through May our tourism statistics have continued to improve and for the month of June, air arrivals were up by 7.6 percent, over June 2010. This represented the third strongest June arrival figure in 10 years. Furthermore, for the month of July, arrivals from the US are up 7.4 percent over last July, and there is a dramatic 72.1 percent increase in arrivals from Canada this July, over what we were seeing in July 2010," he said. Shomari Scott, Acting Director of Tourism, said the growth was gratifying, particularly during these tough economic times, and illustrated that the steps being taken by the DoT were working. Working more closely with industry partners, realigning CAL and introducing new routes to boost capacity are paying dividends. “By working with CITA and other industry partners, the department has launched a number of new initiatives and promotions that are designed to drive visitation and support local businesses and service providers. Clearly, these are delivering the desired results, as the latest tourism figures demonstrate that the Cayman Islands remains a sought after destination for families, divers, weddings and honeymoons and those simply seeking sun, sea and sand,” he said. "As we move into the fall season a series of new promotions, including the Visiting Friends and Relatives, Dive Madness and Pirates Week deal, will be on offer to travellers to maintain the positive trend,” he added, stating that if the momentum is maintained through the end of the year the islands could achieving the goal of attracting 300,000 air arrivals in 2011. The improved air statistics were mostly down to continued increases in passengers from Canada and North America. 1,239 people flew in from Canada this July compared to 720 in the same month in 2010, which is an increase of more than 72%. Almost 800 people visited from the US, representing a 7.4% increase from that region. Occupancy rates at both hotels and apartments, however, did not improve on last year as in July 2010 hotels were more than 70% occupied compared to a rate of 67.2% this year. Occupancy at apartments was almost the same as July 2010 which was 47.7% and this year it was 47.6%, suggesting that the extra visitors arriving by air are staying with friends and family. 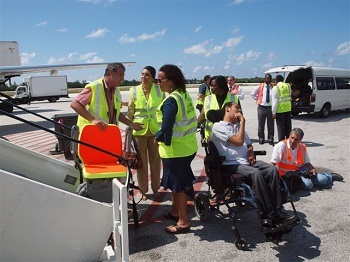 (CNS): Travellers with reduced mobility will now find it easier to get on and off planes at Owen Roberts International Airport thanks to Island Air, a fixed base operator and ground handling service provider based on Grand Cayman. 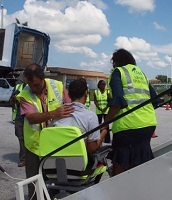 Island Air now operates two Ambistair Stair Lifts, which give airlines the ability to provide passengers with reduced mobility a safer and more comfortable experience when embarking or disembarking aircraft in Grand Cayman. The Ambistair design, which is based on the wheelchair lifts used in homes across the world, hasbeen modified to allow access on the same aircraft stairs used by able-bodied passengers and is approved for use by international aviation regulatory bodies. Marcus Cumber, Managing Director and owner of Island Air, said his company wanted to ensure that any equipment purchased would enhance the safety of passengers with reduced mobility, while at the same time allowing families of the disabled passengers to board together, without any delays. The Ambistair stair lifts are fully operational and passengers with reduced mobility can now make arrangements with their travel agents or airline for provision of this service. (CNS): The industry body which represents businesses working in the tourism sector has expressed its growing frustration that constant calls to address the islands’ violent crime problem with more visible policing has fallen on deaf ears. The Cayman Islands Tourism Association has asked the authorities time and time again to increase police patrols in the areas most frequented by tourists but at a recent meeting with the commissioner the president was told that there was no money for community police because of budget cuts. The government has, however, stated on numerous occasions that the police are getting the resources they need to fight crime and the 2011/12 budget allocation has remained at just over $29 milllion. 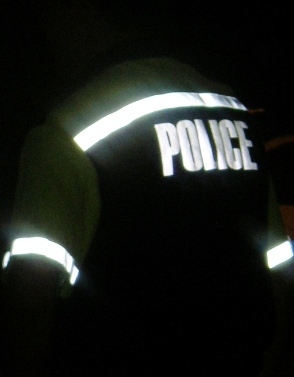 Although the RCIPS has received the same appropriation for this current financial year of just over $29 million, Chief Superintendent John Jones recently stated that the police head count had fallen from its peak of a few years ago and it was community policing that was most impacted. He said resources for neighbourhood officers were being used to support other areas in the face of the increase in violent crime and surge in robberies. “The feet on the beat,” he said, was one area that was under resourced. However, in the wake of yet another violent robbery at a restaurant frequented by visitors last week, Trina Christian of CITA stated that the need to prevent crime impacting tourism was critical. For some time now CITA has campaigned to have police officers allocated to patrolling the Seven Mile Beach area, getting to know local business and offering a secure presence for visitors, but so far there has been no response from the authorities. She said CITA is not asking for mass coverage but a regular light police presence in areas frequented by visitors to make tourists feel safe and criminals think twice. Christian said that the CTIA membership knows it’s not just a police problem and that there is a much bigger picture. There are many long term issues to be addressed and the need for the community to play its part, but in order to protect the tourism sector, which so many people depend on, she said there was also a need for police visibility in key areas todeter the robbers and make visitors feel comfortable. She said the recent news from the commissioner that the budgets had been cut was disappointing and that CITA would now have to lobby government to see if resources can be found to fund community policing in order to guarantee a presence in the Seven Mile Beach area. “We continue to say that we need to take the crime issue seriously and we were under the impression that the police were getting the resources they needed but now we hear that there is no money to police tourism. It’s confusing,” Christian added. She pointed out that in the face of the economic uncertainties, crime remained of critical importance to the tourism business. She said no one should underestimate what a devastating impact an armed robbery at a restaurant where tourists are there enjoying a meal can have on the entire tourism product. As far as the CITA membership is concerned, Christian said, the resources have to be found in order to protect the sector which remains one of the country’s most important economic generators. In the question and answer section Eddlee Martin noted the high cost of living on Cayman Brac. As an example he checked the prices at each of the three supermarkets on Cayman Brac for a box of Cornflakes that costs $5.89 on Grand Cayman. He said the prices he found for the same size and brand were $12.29, $14.30 and $15.25. “Something needs to be done. We are being taken advantage of,” Martin said and suggested that the government, which buys heavily from the local stores for social services, should boycott them until they bring down the prices. The premier said that there were no statistics on prices and a survey would be done so the government had a better idea of what to do, but he noted the economies of scale in servicing a smaller population. (CNS):Statistics from the Department of Tourism reveal cruise passenger arrivals continued to drop this summer as had been predicted by the tourism industry as a result of the cruise lines sending their new mega-ships to other ports. In June, just over 87,000 passengers stopped in Grand Cayman representing a more than 26% decline on the arrivals for the same month last year. At the year’s half way point cruise arrivals in total are down by only 3.4% because of a good start to the yea. But with the passenger numbers expected to continue falling this figure is likely to be considerably lower by the year end. However, air arrivals continued the on-going upward trend with almost 27,000 people flying into the Cayman Islands. This month the increase in arrivals was not dependent on the boost from Canadian visitors which went into decline as a result of the changes in the WestJet summer schedule, but was down to a growth in passengers from North America with 23,493 coming to Cayman from the states compared to 21,380 last year. However, occupancy rates at local hotels were not improved by the air passenger arrival figures which were less than 60% full compared to more than 70% this time last year. Condos and apartments fared slightly better enjoying a 42% occupancy rate compared to just under 37% last year and visitors are staying in Cayman slightly longer with hotel stays averaging at four and a half days and guests in apartments staying for almost seven and a half days. Last year the average length of stay in a hotel was 4.3 days and less than a week in apartments.